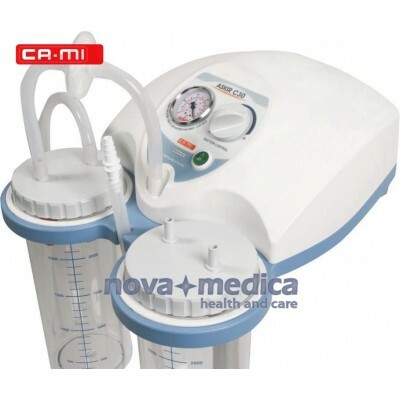 Surgical Aspirator CA-MI ASKIR C30 is a medical applications aspirator working on 230V ~ / 50 Hz mains power supply operated via Panel or Foot Switch (included). Surgical aspirator is supplied with a 5 wheel (3 locking) stand and has been designed for continuous use. 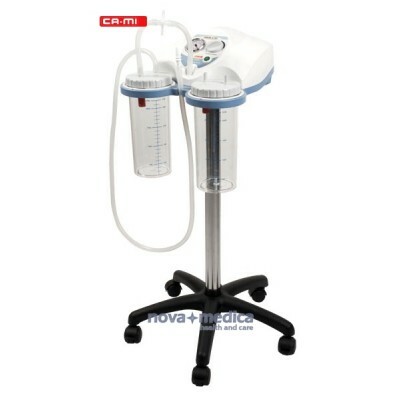 Thanks to this characteristics and to the rating that it has, Surgical Aspirator ASKIR C30 is particularly suitable for hospital use, on the tracheotomized patients, dental practice applications, minor surgical applications and post-operative therapy at home. 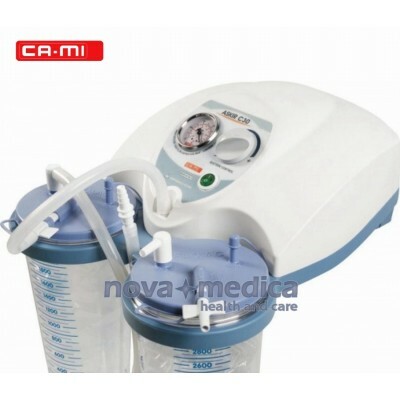 Made of highly heat resistant, electrically insulated plastic material in conformity with the latest European safety standard, Surgical Aspirator ASKIR C30 is supplied with two complete polycarbonate reusable autoclavable jars (2L) with overflow valve, two FLOVAC® COLLECTION JARS (2L) and 10 disposable liners (2L). Surgical Aspirator ASKIR 30 is equipped with aspiration regulator and vacuum indicator located on the front panel.